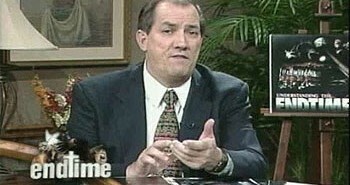 Dr. Hitchcock: Nostradamus was the French prophet, or alleged prophet, who used to look into pieces of glass or water. He used this method called “scrying” and would come up with these alleged prophecies written in four-lined quatrains. Scrying is an occultic method which should tell anyone who believes the Bible and is a Christian that Nostradamus was way off. The quatrains he wrote are very vague and could apply to all kinds of situations after the event. It is kind of like the old saying, “even a clock that doesn’t work is right twice a day. Well, that didn’t happen because we were alive then. And so, we know that at least on that account where he was actually very specific that he is a false prophet. 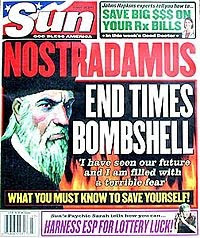 I don’t think we should put any stock whatsoever in anything Nostradamus had to say. 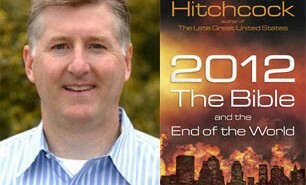 Dr. Hitchcock: That’s right, after 9/11 there were several false quatrains about the two towers. But, then, people went in and added other things to them to make them fit even better with what happened at 9/11. Dr. Hitchcock: Yes. It is called The Lost Book of Nostradamus. You can get on the Internet and look up and see his drawings, and that is where some say he points to 2012. But, the problem is supporter of a 2012 end-of-the-world scenario look at these intricate drawings and they’ll say, “that this means this, and this means this, and this means this, therefore it points to 2012.” But, if they’re wrong at one point along the way it is like a house of cards — it all comes down. Nathan Jones: That reminds me, back in the 1980’s Orson Welles did this big special on everything Nostradamus said, and he predicted J.F.K. getting shot and everything all the way up to that point that Orson Welles did that show. He then made a big deal about looking into the future. He said Nostradamus predicted world cataclysms for the last part of 80’s and the destruction of the world in the ’90, but no such thing happened. 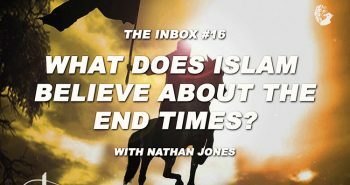 Nathan Jones: They’re blinded by a prejudice against God. Dr. Reagan: When you start talking about Bible prophecy people say all that stuff about the Messiah we just read that in there. 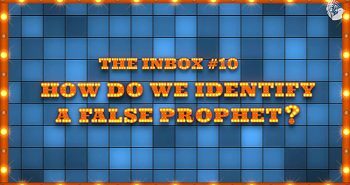 They don’t understand that in addition to Messianic prophecies there are 100’s of prophecies about nations, about individuals, about cities and towns that have been fulfilled already. 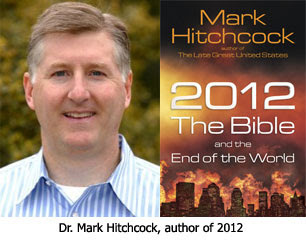 Dr. Hitchcock: Yes, it is a verifiable track record we can look. The Bible really proves to us that it is self-authenticating and that it is from God. you know what bugs me? when christian prophecy teachers refer to nostredamas and paint him in a good light. how can they do that? What bugs me is how much stock everyone puts in Nostradamus, and the prophets of the Bible are virtually ignored. They named names and have a 100% accuracy rate. The History Channel has their "Nostradamus Effect" show (which is very funny, by the way) and sometimes they show how a biblical prophet "agrees" with Nostradamus' predictions. The so called Nostradamus Predictions which are consider to be true are in fact Interpretation by the proponents of Nostradamus. Nostradamus predictions can be interpret-ate as per once wish. What if Nostradamus was talking about Jesus being a myth. He lived during the Spanish Inquasition and would not be free to speak of such a hericy. It seems to me that he has coded a message that few can understand?